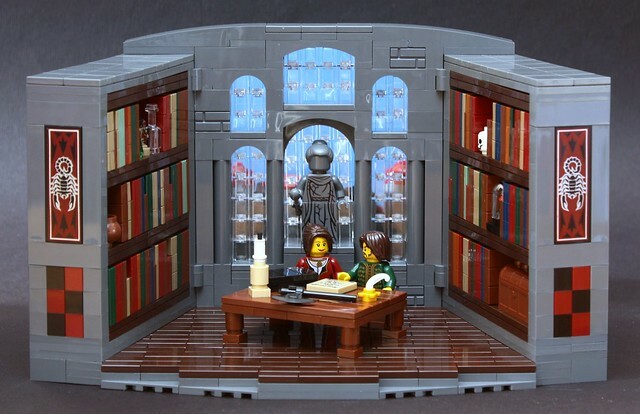 This library scene by henrik_zwomp makes me want to go read a book. I hear good things about Lord of the Rings, maybe I should read those again. Anyway, this is a lovely build. I really like the way the walls are angled outward, making the room feel open and spacious. The subtle forced perspective out the window is also superb and gives a great feeling of depth to an otherwise fairly small scene.